You may already be aware of the fact that the nervous system, consisting of the brain, spine and nerves, is the controlling system of the body. It is the first system that is formed in the fetus and without it we would be dead. In fact, when there is an injury to the brain, coma is induced to lower the work load so it can focus on healing itself. There is an absolute correlation between the health of the nervous system, the brain specifically, and your posture. You will never see anyone with a stooped posture who is healthy, bear in mind that health is NOT just lack of pain. Due to our modern lifestyle, utilizing digital devices like computers, smartphones and tablets, the majority of children would rather play games on their digital devices than go outside to play. We have an epidemic on the rise. Brain-Based Neurology and Posture addresses the impact of our lifestyle on the master coordinating organ, the brain, and how it adversely impacts its performance which in turn impacts our health. You may have seen someone whose arm or leg was broken or fractured and put in a cast. When the cast is removed, that arm is weak and cannot perform its function until it is rehabilitated. The area of the brain (homunculus) corresponding to that same arm shrinks due to the lack of brain function while it was in a cast. As the activity of that arm increases, the shrunken part of the brain regains its size and full healing takes place. In other words, lack of use means loss. Of course, this goes for any part of the body when it lacks use, the associated controlling brain part shrinks. Our lifestyle dictates over-stimulation of certain parts of the brain while under-utilizing many other parts. Studies have shown the impact of brain stimulation in severe cases like Alzheimer’s disease, showing improvement when correctly influenced. At Irvine Spine and Wellness Center, we belong to a very small group of doctors and health care professionals who understand the role of the brain on a variety of conditions that people suffer from daily, take medications for, seek physical therapy to rehabilitate and yet, the condition persists and comes back. Through a very systematic and objective assessment of the brain and its associated nerves, Dr. Shakib is able to find the area(s) in need of stimulation and with a series of brain-based exercises, patients are able to rehabilitate the very part that controls the body part they have a problem with. This is not only for people with brain injuries. Everyone living in today’s digital world suffers from its adverse effects on the brain. Brain-Based Postural Neurology is for people of all ages and genders, with or without known chronic conditions. We are finally able to address the problem from end to end. From the brain to the body part, we provide simple brain exercises and associated lifestyle modifications that are easy to do, not requiring drastic changes in life to put an end to the aches and pains, limitations and unhappiness. We empower our patients so THEY can continue reproducing the same beneficial result for the rest of their lives. Remember that you are the Designer and Director of your life so Design and Direct to empower yourself with the basic natural facts so YOU can provide YOURSELF with the ingredients to health. Your health comes from you and not to you so start today by first finding out what brain area(s) need(s) immediate attention, and then learn how to stimulate the ‘shrunken’ brain area. Remember that this is not all that is required to be healthy and live a long, happy life! What you eat and how you think also play a HUGE role. Health is a tri-fold of Structure (Brain and body parts), Nutrition and Emotions (the inner conversation that no one gets to witness.) At Irvine Spine and Wellness Center, we understand this value and walk the path that we talk with our patients about and hope to be a part of your journey to better health. We use a number of highly-effective adjusting approaches to help improve spinal biomechanics and reduce nervous system interference. The approach we use is based on our judgment and years of experience. The primary adjusting techniques are Diversified/Manual, Thompson, Activator, and Pro-Adjuster. Imagine thirty to forty years ago, if we told you that dentistry would be painless, that doctors would watch a television to perform surgeries, that brain surgery for tumors could be done with a laser, that fetuses could be operated on within the uterus, that knife-less surgery could be performed- you would not have believed us. By the same token, would you believe us if we told you that Chiropractic treatments and reorientation of the nervous system could be done comfortably, while you were sitting in an upright position without any turning or sudden movements? Would you believe that newborns as well as the elderly with osteoporosis can be treated safely and gently? Advances in computers and engineering technologies have been able to uniquely blend with Chiropractic in order to both analyze and treat the human body in such a way that was never before realized. The potential for a human being to end pain and to achieve their peak nervous system function has never been greater. Humans are consistently asking their bodies to perform at higher levels. Now we have the techniques and the technology to match the demand placed on the spine and the nervous system. We now have the capability to fine tune our own energy and enhance every aspect of our lives. How does the Pro-Adjuster Work? Combining Tradition with Technology: To better understand, let’s examine the idea of palpation. When a Chiropractor palpates your spine, they are checking for joint fluidity, motion and/or rigidity. Improper motion affecting the nerve function is called a subluxation. In a similar fashion to palpation, the Pro-Adjuster can determine whether the vertebra’s motion is too rigid or too fluid. The spine should not be too rigid (hypo-mobile). However, instead of utilizing the doctor’s judgment as to what areas are hyper-mobile or hypo-mobile, the Pro-Adjuster measures precise levels of motion. Therefore, the Pro-Adjuster can isolate a problem area faster and more accurately than manual procedures. First our doctors will engage in a one-on-one conversation with you to determine your medical history, and the causes of your problem. The adjustment and treatment procedures are then customized to fit the patient’s needs. The next step in evaluation and treatment is to utilize the Pro-Adjuster’s sophisticated computer analysis to pinpoint the problem areas. The information is then charted graphically on a computer monitor, so your doctor can detect the problem areas on each and every visit. Your doctor will now begin treatment with the Pro-Adjuster. By applying the Pro-Adjuster’s Resonant Force Impulses precisely to the affected areas, you will receive gentle, effective treatment to that specific area, reducing the subluxation. This will relieve the pressure on the nerve, allow the nerve to heal, and restore the nerve’s ability to transmit signals to the brain more freely. Most importantly, it will help relieve the pain! In addition, your doctor may again take the readings after the adjustment with the Pro-Adjuster to compare the results. Now that’s putting analysis on a whole new level! How does the Pro-Adjuster’s Analysis work? The instrument introduces a small mechanical force into the body and measures the response through a system of sensors and software. The waveform that is produced when this technology is employed is similar to a fingerprint of the material being tested. 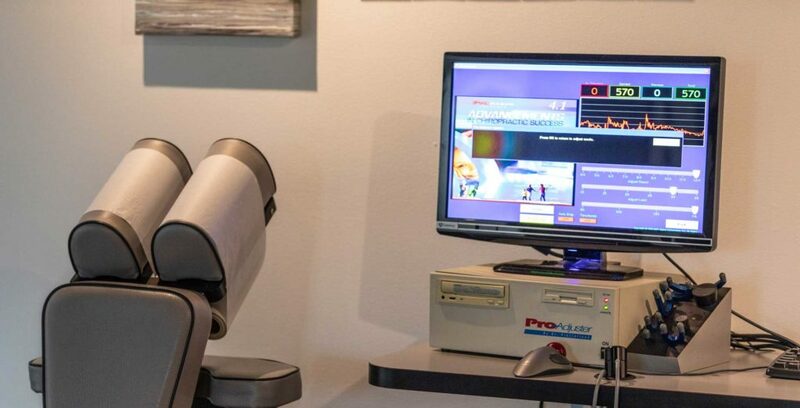 The Pro-Adjuster is the most advanced Chiropractic analysis and treatment instrument in existence today. With the Pro-Adjuster, our office has built a sterling reputation by delivering results that make a difference. This technological marvel can help you return to a healthier lifestyle. You may no longer have to live with a persistent painful condition. If you’ve been to a chiropractor before and prefer to be adjusted in a particular way, let Dr. Mamak Shakib know. We want you to relax, enjoy and fully benefit from your chiropractic care. Our trained massage therapists have one goal in mind: assisting you to get rid of pain and those knots. Please make sure you drink plenty of water before and after your massage session and do not forget to give feedback to your massage therapist so your therapy session can be optimized. Personal training is not a luxury service and is quite affordable. We have many options available to help keep the costs as low and accessible as possible. Once you are cleared by our doctor, you may start your Personal Training at our facility. This service provides specific instruction, proper advice and positive supervision and encouragement to optimize the work out time and to challenge the muscles in a safe and healthy way, resulting in structural improvement of your body and better appearance without the risk of injury. This is different from ‘training’ because your whole exercise time is supervised with any and all medical ‘limitations’ in mind. Can I get a list of exercises and do them at home? Yes. You will be instructed on the proper way to perform many exercises. Once your goals are determined, we will select specific exercises designed to help you reach your goals and will provide complete instructions on how to perform each. Once you have completed proper training, you will be able to train at home and follow your custom workouts. Is this a luxury service or good for weight loss and health optimization? Does my insurance pay for it? Once recommended by one of our doctors, this service is recognized by your HSA/FSA. What if I don’t have a HSA/FSA? Fear not! We have never turned away any interested individuals. We offer group, police and fire officer discounts to be able to serve everyone.